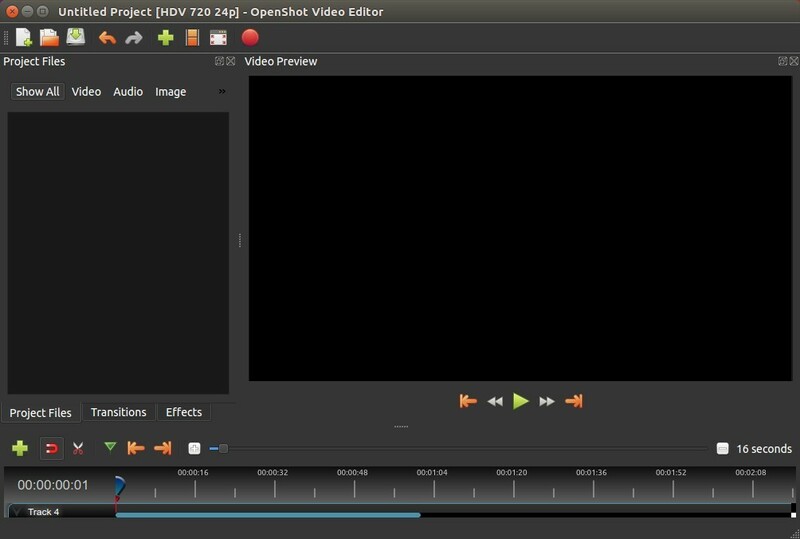 Openshot video editor released version 2.4.4 a few days ago. The stable PPA has built the packages for Ubuntu 14.04, Ubuntu 16.04, Ubuntu 18.04, Ubuntu 18.10. OpenShot 2.4.4 includes fixes and improvements to keyframe scaling, better timeline and preview performance, improved SVG rendering via the resvg library, improved docking & tracks, user-defined Export presets, new translations, constant rate factor support, and various other changes. Type user password (no asterisk feedback due to security reason) when it prompts and hit Enter. For Ubuntu 18.04 and higher, apt-get update is not required. And remove the PPA by launching “Software & Updates” and navigating to Other Software tab. OpenShot video editor 2.4.3 was released a few days ago with animated Masks, nudge, zoom fixes, improved stability, and more. Add Save Current Frame button. New translation & language infrastructure and logic. And many other changes. See the release note. The Ubuntu binary packages now is in testing stage. It will be published in the stable PPA (check the link before getting started) in 2 or 3 days. Type your user password (no asterisks feedback) when it prompts and hit Enter. 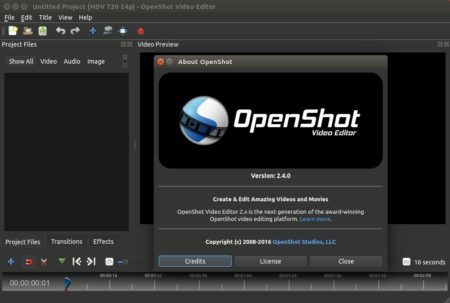 OpenShot video editor 2.4.2 was released a day ago with exciting new effects, tons of bug fixes, and performance improvements. Auto-Rotates any Clip with Reader metadata ‘rotate’ attribute. Many improvements for Audio playback, stability, export dialog, etc. And numerous bug-fixes. See release note for details. 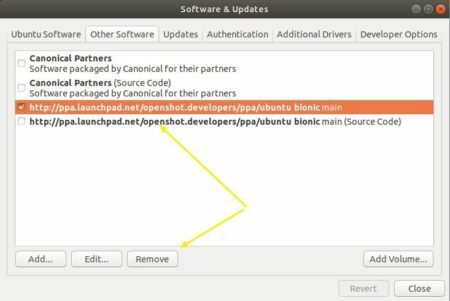 OpenShot’s official PPA now contains the 2.4.2 release packages for Ubuntu 14.04, Ubuntu 16.04, and Ubuntu 17.10, and Ubuntu 18.04. Input your password (no visual asterisks feedback while typing) when it prompts and hit Enter. 2. 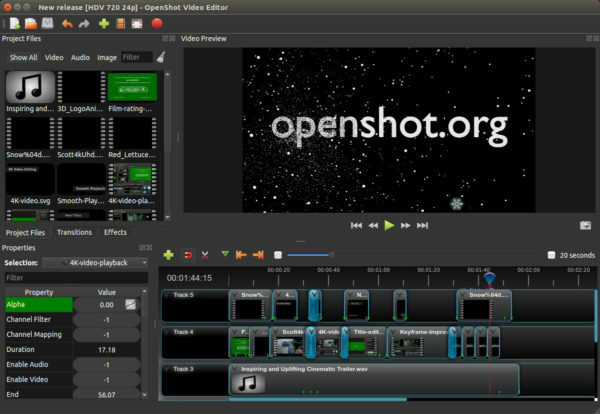 Then upgrade the editor via “Software Updater”, if you have a previous openshot-qt package installed. 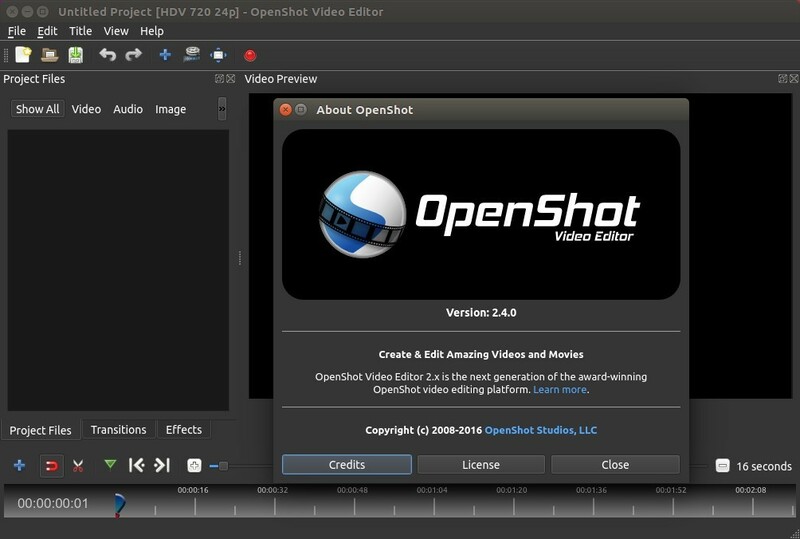 OpenShot video editor reached the 2.4.1 release two weeks ago. Now it’s finally available in PPA for Ubuntu 14.04, Ubuntu 16.04, Ubuntu 17.04. Stability improvements and more. See the release note. Input your password (no visual feedback while typing) when it prompts and hit Enter. The openshot video editor has reached the 2.4 release earlier today with stability improvements. Here’s how to install it in all current Ubuntu releases. Vastly improved stability, improved undo/redo history (now being saved inside each project file). Fixed Image Sequence exporting. Supports PNG, JPG, PPM, BMP and a few others. Added ‘Audio Only’ and ‘Video Only’ export options. Fix many crash issues and other bugs. See the release note for details. For traditional packages, OpenShot’s official PPA contains the .deb packages for Ubuntu 14.04, Ubuntu 16.04, and Ubuntu 17.04, though OpenShot 2.4 build it not ready at the moment of writing.